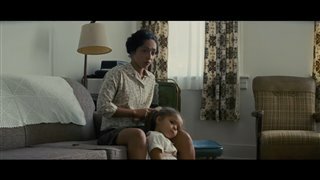 The true story of Richard and Mildred Loving (Joel Edgerton, Ruth Negga), an interracial couple who defied Virginia's anti-miscegenation laws by marrying in 1958, when Mildred found she was pregnant at age 18. After their house was raided by local police in the middle of the night, the Lovings were threatened with prison, and instead opted to be exiled to Washington D.C. for violating the law by getting married. However, after years of living in the city, they grew tired of not being able to live near their families in the country where they'd been raised and had lived for so many years. When one of their children was struck by a car on a city street, they finally moved back home, even though they were facing being arrested again. They obtained legal help to sue the state of Virginia in an attempt to strike down the rules, and allow interracial marriages to be seen as legitimate in the eyes of the law. 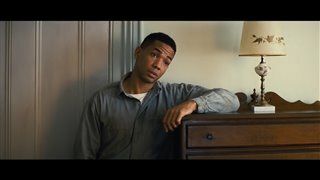 Loving Movie Clip - "No Photo No Job"
Loving Movie Clip - "Tell The Judge I Love My Wife"
Loving Movie Clip - "Ford Or Chevy"
Loving Movie Clip - "Civil Rights"
Loving Movie Clip - "My Cousin Has a House"
Loving Movie Clip - "You Nervous?" "Really enjoyed this movie. Educated me as well about this historical couple." 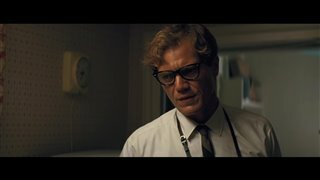 "Jeff Nichols hasn't made anything less than very good in the decade he's been around as a director, starting w/"Shotgun Stories", then "Take Shelter" (my favorite movie of 2011), "Mud", and then "Midnight Special" from earlier this year. 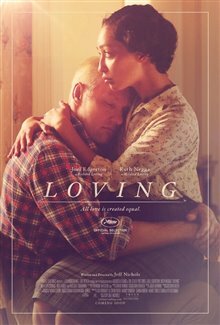 "Loving" is another great drama from him and it's first-rate all the way: thought-provoking, deeply felt, very well-acted, classically shot and told. I hope it scores a bunch of Oscar nods later this month." "An excellent movie with great acting. 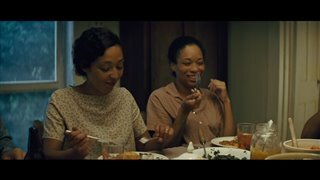 Ruth Negga will be getting an award for best new actress at the Palm Springs Int'l Film Festival in Palm Springs in January. Sometimes good acting is subtle. I really enjoyed it-- a very thoughtful movie."